MTN Wifi Device is a portable WiFi device compact wireless router that provide internet services simultaneously for up to 5 devices like Laptops, Phones, Tablets, PSP and other such devices simultaneously to the internet.. MTN Nigeria has made a new development once again for its customer who enjoys their internet services. Now with this MTN new mifi modern. You can connect your system and also allow your friends to connect theirs through you while surfing the internet. With this device, you can also manage a mini cyber café with full available internet services on all your computers. It is called MTN Nigeria MIFI Modem. All a customer requires is one data subscription on the MiFi device, with which he/she can connect the WiFi enabled devices to the internet. This creates a richer browsing experience, as well as amazing cost savings that represent the True Value MTN is synonymous with. 1. Insert your SIM Card via the SIM card slot entrance at the back of your MiFi device. 3. Power on the MiFi by pressing and holding the power button until the light comes on. 4. The modem is “plug and play” and will auto install upon powering it on. However if the auto install does not work, simply double click the setup icon in the MiFi folder from your computer and wait for the software to install. The MTN Mobile WiFi can be used in USB mode (connected to your PC) or WiFi mode (connecting up to 5 WiFi enabled devices). 2. Once the user interface is launched, type the Login Password: default password is admin (you are advised to change this password for security reasons). 3. Recharge and activate any Data plan from the Subscription page on the Interface. You can also send the appropriate keyword by SMS, to activate a Data plan. 4. Once you receive the sms confirmation for your data plan, you can launch a browser and connect to the Internet. After you have successfully activated a data bundle using the MTN Mobile WiFi user interface, you can connect up to 5 WiFi capable devices simultaneously to the internet. 1. Ensure your MiFi device is powered on (press and hold the power button until the light comes on). 2. Turn on Wi-Fi on your computer or device and search for available wireless networks, then select & connect to the MTN Mobile WiFi E5830S (Password/key is printed behind the device). Note that you can modify the display device name (SSID) from the admin interface. After you establish a Wi-Fi connection successfully, you can start browsing the internet. 1. 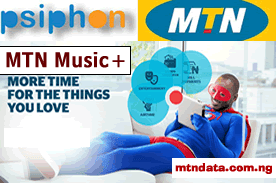 Launch the MTN Mobile WiFi icon from your computer or start your Internet browser and enter http://192.168.1.1 in the address bar. 2. Type the Login Password: default password is admin (you are advised to change this password to prevent for security reasons). 3. Click on SMS at the top of the screen and send an SMS with keyword MIFI to 131. 4. You will receive an acknowledge SMS confirming you now have 500MB of data, valid for 1 month. 5. Now you can connect to the Internet. 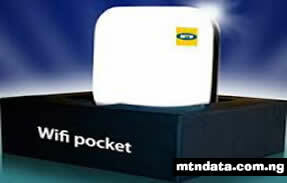 What do you think about this New Device from MTN? Kindly use the comment box below to share your view. Thanks for the post....that's what I'm using @ my café for long. Pls how much is it? Yes,The Mifi cost 10,000 but i don't see the amount of the data plan anywhere? What is the least amount that can be done and what is the data attached to the amount.? I bought mine for 20k @ the Lagos airport on June 14 2017. Have I been duped? The modem is pretty fast though.